When you combine the personalized and caring service of Pat Dowtin with the support of America’s largest and most respected privately owned homeownership company – Long & Foster® you have one powerful team on your side. Pat Dowtin and Long & Foster® Provide a Powerful Advantage in Today’s Market. To become a more knowledgeable buyer or seller call Pat to request one of her free brochures. 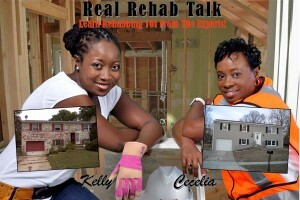 Real Rehab Talk, Inc is a Maryland based real estate investing education company.